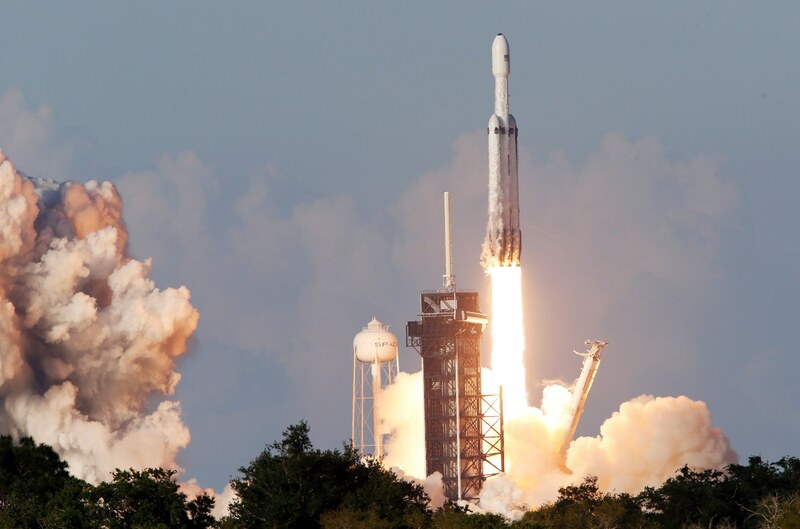 SpaceX’s Falcon Heavy is currently the world’s most powerful operational rocket, and today, it launched its first commercial mission from Florida’s Kennedy Space Center in a key demonstration for CEO Elon Musk who hopes to land lucrative military launch contracts in the future. The booster carried Arabsat-6A, a 13,000-pound Saudi telecommunications satellite designed to provide television, internet and mobile phone service to the Middle East, Africa and Europe, into orbit. Read more for the launch and to see the three boosters land back on Earth. “The 230-foot-tall rocket weighs more than 3.1 million pounds and is made up of three reusable boosters based on SpaceX’s Falcon 9 rocket, which has been ferrying cargo to the International Space Station since 2012. Less than 10 minutes after liftoff, the rocket’s two side boosters maneuvered back to Earth and nailed simultaneous, side-by-side landings on pads at the Cape Canaveral Air Force Station,” reports NBC News.